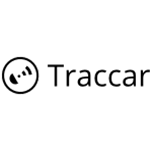 Traccar Ltd is a company registered in Saint Petersburg in the Russian Federation which specializes in GPS tracking services and software development. The company developed an Android and iOS mobile app that reports phone's location to the server. The chart below shows the changes within the last 30 days in the number units of Traccar devices type are connected to Wialon Data Center.